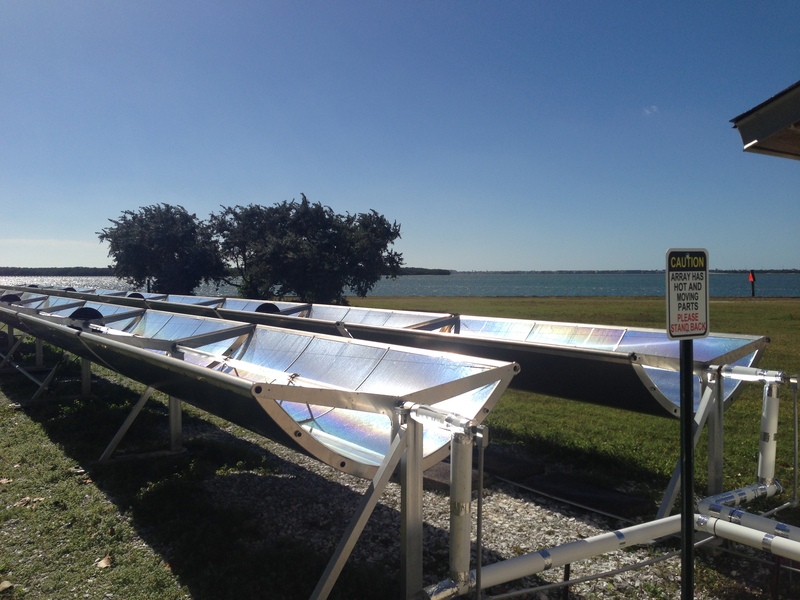 Eckerd College – In 2010 STG established a research and development platform at Eckerd College in St. Petersburg, Florida to support testing and validation of ongoing improvements to our Solar ORC technology. In addition to performance evaluation, this system is also used for optimizing autonomous control strategies, testing new high efficiency expanders, and integrating with undergraduate education at Eckerd. The solar array consists of 20 SopoNova collectors donated by Sopogy, Inc. while the ORC was designed and built by STG.